The Apple’s TV app is a fantastic application that provides you all your TV-related stuff in a single app. 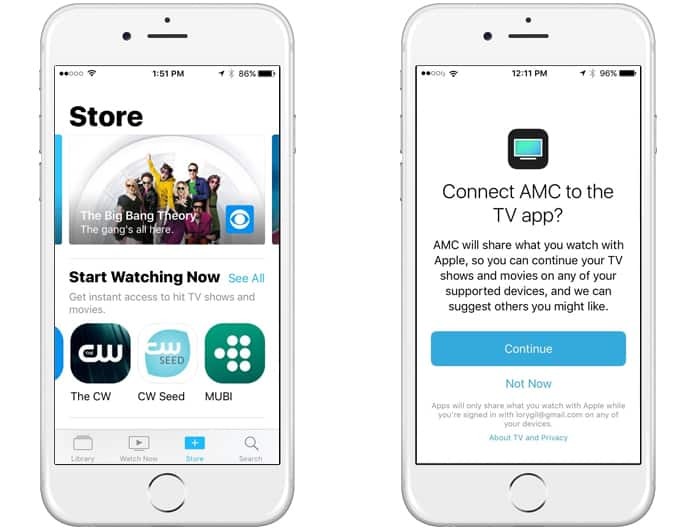 You can find your TV shows, your library, and store by using the TV app. 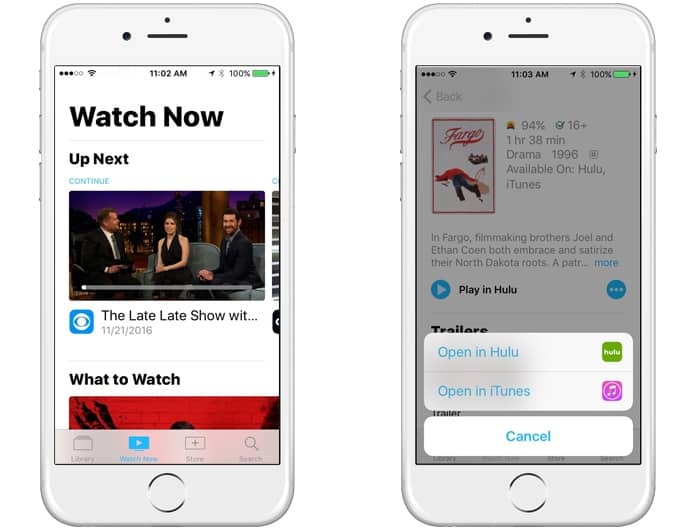 This app is great if you use an Apple TV and watch movies and TV shows on it. You can easily manage your programs and movies from this app. 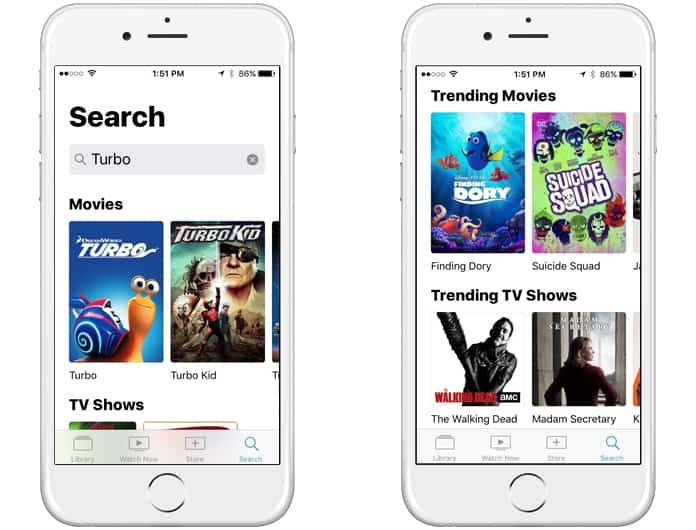 However, if you don’t have an Apple TV, you can still use the TV app on iPhone and iPad to find TV shows and programs easily. If you want to use the TV app on iPhone and iPad and don’t know well about it, we will tell you today. We will show you each feature of this app to show you how this app works and how you can get the best of it. The Watch Now feature can be used to see the TV shows and movies you are currently watching on any of the watching services. These services include iTunes, CBS or Hulu. If you launch a TV show or a movie from the TV app, you will be able to see it on the Watch Now Tab. Keep in mind that the shows or movies you are currently watching on different services appear on the top. The same case is with different TV episodes. If you are watching a TV show on your TV and its episode is finished, you will see the next episode in the Watch Now tab of your TV app. For example, if you play a movie on iTunes, it will show that movie’s name on the Watch Now tab. The Library tab allows you to see all the stuff you have added to your TV library. 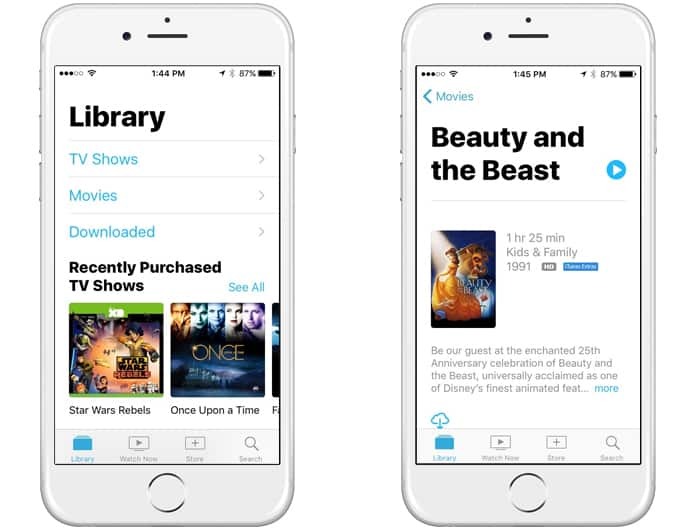 The movies and TV show you have purchased on iTunes will appear in your Library. You can easily access all of them from the Library tab. If you are browsing a TV show from your Library and want to play it, you can quickly do this job. Simply find the TV show and click on the Play Now button. 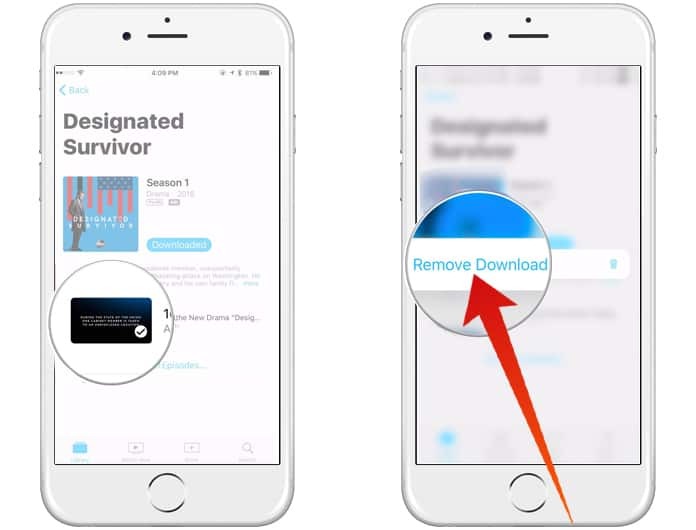 On the opposite side, if you want to download a movie or TV episode on your device for offline watching, you can get to it too. Simply click on the download button, and it will save the selected movie on your device. The Search feature can be used to search any type of stuff on the TV. You can search for any TV show or movie from your Library. You can also search stuff from the TV list which includes all TV shows and movies. The best thing about the Search feature is you can directly get access to your movies and TV shows. It means now you won’t have to find a show from a list of hundreds of shows. The Store feature allows you to add any type of service or streaming app that you don’t currently own. 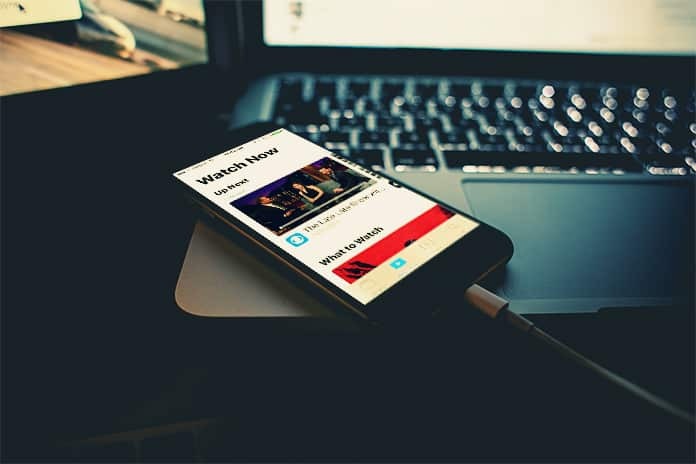 Different types of TV shows and serials can be watched on various streaming apps and services. So, if you want to watch a show but don’t have its supported streaming app, you can download it from the Store. If you want to delete videos downloaded from iTunes here is how to do it. Step 1: First, you need to open TV on your iPhone or iPad. Step 2: After that, you need to find the movie or show you want to delete. Step 3: If you have an iPhone 6S or newer, you need to press firmly on the movie that you want to remove. On iPads and older iPhones, you need to tap and hold on that item. Step 4: Finally, tap Remove Download and the movie or video will be deleted. If you have accidentally denied a connection or you want to manage the apps that are connected to the TV here is how to do it. Go to Settings > TV > Up Next. After that, you can manage the switch next to an app’s name to turn its connection to the TV app on or off. 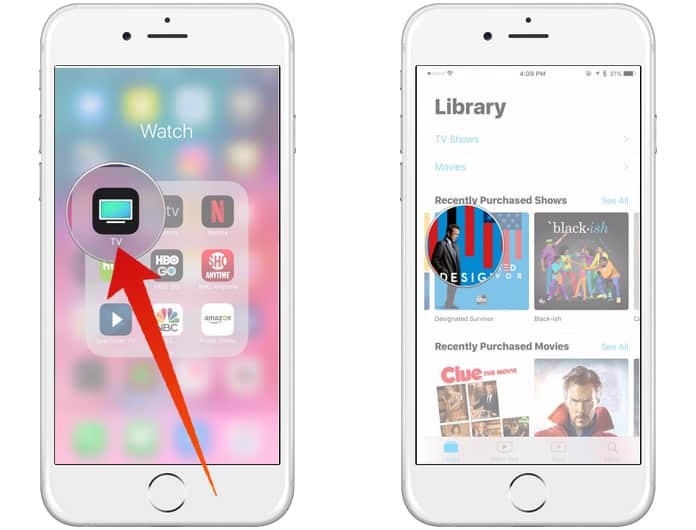 Now you know how to use the TV App on iPhone and iPad. Don’t forget to like, share and leave your comments in the section below.